Today, Fallout 4 has received its first DLC pack, Automatron, on all formats, and more additional content will be released in the next few months. The popular role playing game developed by Bethesda is also going to receive a brand new Survival Mode for free, which will force players to approach the game in a completely new way. No news on the release of Survival Mode are currently available, but it seems like things are finally starting to move. A few hours ago, the Bethesda Official Twitter profile has confirmed that the Fallout 4 Survival Mode will be going into beta on Steam soon. Unfortunately, this doesn’t exactly tell us when the final version will be revealed, as it’s been previously confirmed that Survival Mode may stay in beta for a while. On a related note, it’s been revealed that a documentary detailing the development of Fallout 4 will not be released, as the team didn’t produce one this time. It’s definitely a shame, considering how interesting the Making of Fallout 3 documentary was. 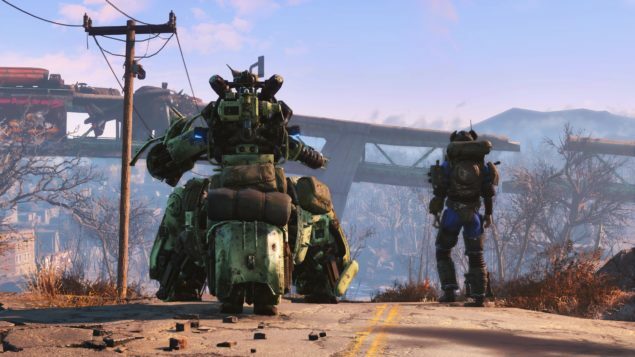 A full overview of the upcoming new Fallout 4 Survival Mode has surfaced online a few weeks ago, detailing some of the features that will be included in the mode. As expected, the changes will make Fallout 4 feel like a completely different game. Fallout 4 is now available in all regions on PC, PlayStation 4 and Xbox One. The Automatron DLC is also live on all formats.